A sonic collision between two giants of the heavy psych scene. San Diego’s EARTHLESS & HARSH TOKE have joined forces for one of the most killer splits of 2016. Consisting of two tracks, this split from Tee Pee Records is a 35 minute cosmic journey, showcasing the very best in psychedelic jams from the West Coast of the USA. 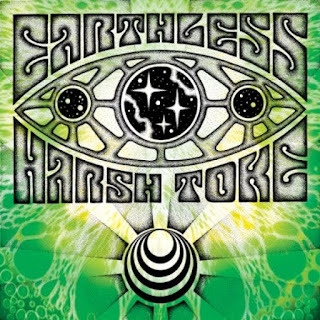 San Diego heavy psych rippers Earthless have returned with a bang after their 2013 album ‘From the Ages’. The instrumental trio, consisting of Isaiah Mitchell (Guitar), Mike Eginton (Bass) and Mario Rubalcaba (Drums) have an untouchable ability to jam flawlessly, fusing heavy psychedelic rock with krautrock and blues. 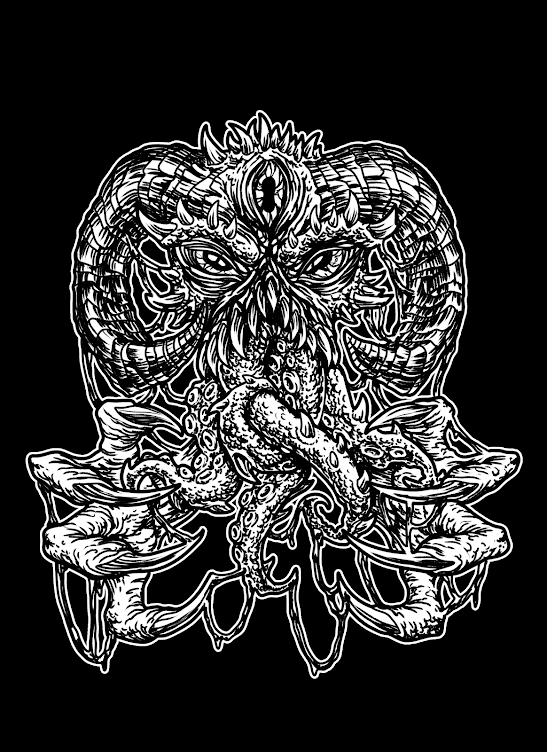 Their track, entitled ‘ACID CRUSHER’ is actually one of their most patient jams to date and incorporates all the elements that gave Earthless the well-deserved status of sonic architects. The track starts off slow with Eginton’s flowing bass line, complementing organ sounds and Rubalcaba’s impeccable rhythm. Mitchell is incredibly patient, adding slight nuances when he sees fit. His expansive use of pedals helps create a huge atmosphere and his restraint is vital in maintaining suspense. The track grows and grows with Mitchell beginning to let loose around the 10-min mark with a Hendrix-esque display of wah-wah sorcery. This is when we see Earthless really shine. The synchronicity displayed and the deep understanding of each other’s playing styles sets them apart from most instrumental jam bands right now. After a few minutes of Mitchell’s mind-boggling, cosmic solos, the track begins to wind down with the same rhythm that it started with, easing out slowly and giving us a true taste of what’s to come on their fourth full-length album, which is due to be released later in 2016. Harsh Toke also hail from San Diego and consist of Richie Belton (Bass), Austin Ayub (Drums), Gabe Messer (Keys) and professional skateboarder Justin Figueroa (Guitar). Their trademark style of free-flow jamming and acid rock has garnered attention from all over the world. ‘MOUNT SWAN’ is a 20-minute colossus of thick, fuzzed out riffs and soaring psychedelic displays of jamming. The track starts off slow with some minor riffage before taking off into a faster, impressive display of Figueroa’s guitar playing. There are hints of Boston trio Elder present in the riff styling and vocal sounds. The track then slows back down and Belton’s bass line is repeated while Figueroa and Messer create an auditory landscape with their plethora of effects. Around the 6-min mark the track starts to gather speed again and Figueroa launches into more blistering solos, in the same vein as Earthless’ Isaiah Mitchell. As the track progresses, all sense of pre-determined structure seems to fade away and the band begin to truly experiment to see what they can achieve through legitimately free-flowing jams. As the main riff winds down, around the 12-min mark, Belton sets a new scene with a bass line that is reminiscent of Berlin trio Kadavar, allowing Figueroa to let loose once more. There is a well-defined atmosphere created by the band but its sporadic, chaotic dynamics add a sense of disorder to the mix. Around the 18-min mark, a solid wall of fuzz riffs provides a very thick and heavy outro to the song, showcasing the diversity of Harsh Toke’s abilities.